Finding My Japan. : Back post 1: Tea and flowers. A couple of days ago, my host mom took me to a friend of her's temple(!!). The friend's family owns 2 temples! I then got a demonstation (incredibly properly) or what we like to call in English 'Tea Ceremony'. It was pretty bitching. 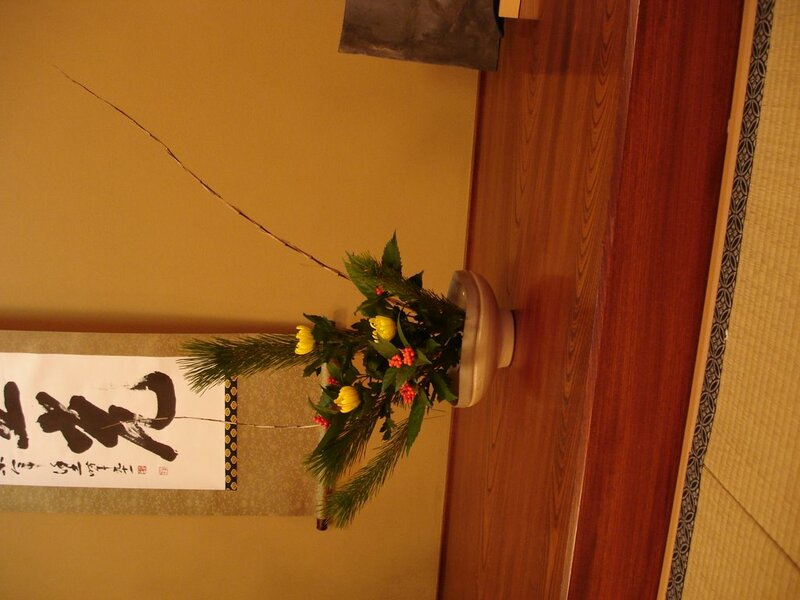 Then we did Ikebana, which is usually translated as 'flower arranging', but it much cooler than it sounds. The above picture is of the flower arrangement I made. I hope to use what I learned about tea and flowers to use in architecture and civil planning. Yeah, it works really well!! Nice arrangement! 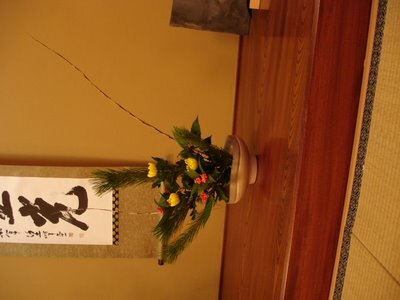 My mom took ikebana somewhere, sometime in my early life. I think yours looks nicer than some of the photos she took of hers. I think there are different composition "schools" & she dabbled in a few. But I thought "nice", before I read it was your arrangement!